Great for homes without many trees. Use your deck, eaves or arbors. 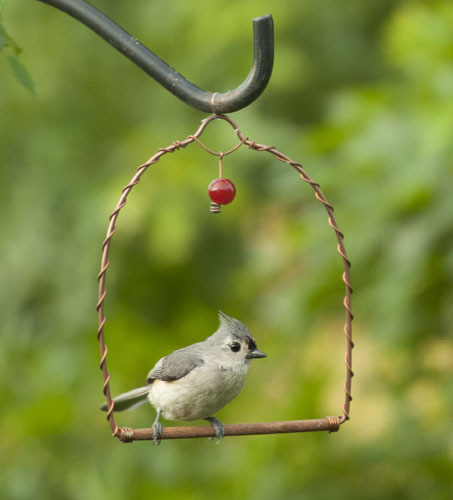 Place it anywhere the birds can sit, rest and watch over their food source. 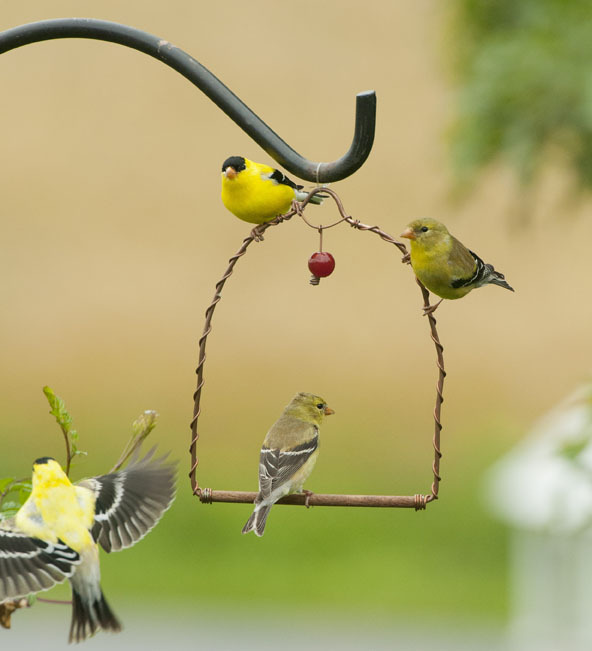 Simply place this swing near hummer feeders and enjoy watching them sit and swing. 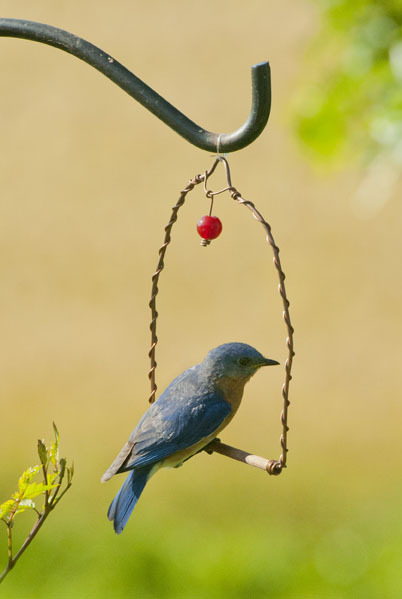 Red glass bead dangler attracts birds. In fact, you just might see more than hummers.